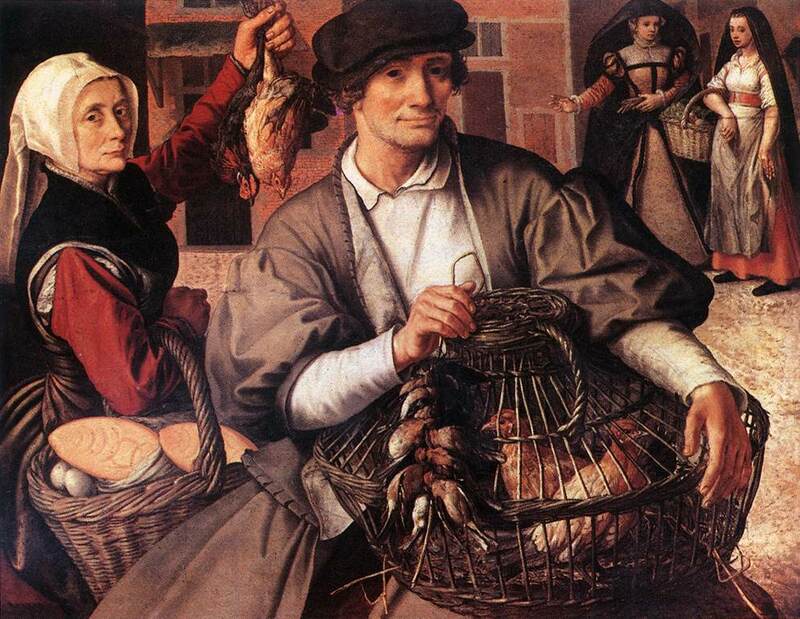 Pieter Aertsen, Market Scene 1561. Making a business plan is a great way to clarify your business to your most important investor: you. In our experience, startup business plans and successful business plans for established companies differ in one crucial aspect: a startup business plan is selling a seed. The best business plan for an established company is growing a sapling. Is your company generating enough revenue to employ people at market rates? NO You have an idea. Your best business plan is all about YOUR PEOPLE and your GENIUS PIVOT. Scroll on down even further. Your best business plan is all about your customers, and your unfair advantage. Congratulations. You have a revenue-generating business. That’s great. Your business plan should focus on showing investors how you’re going to grow and what it’s going to take. We’ve discussed the two key questions the best business plans need to answer in a a previous blog. Basically, you need to know whose problem your business plan is most likely to solve, and what your unfair advantage is over everyone else in the game. Those might seem like hard questions to answer - but the fact that you’re earning enough revenue to pay at least someone at market rates means that all likelihood your business has a really good answer to both of them - even if you’re not aware of it. If it is something you’re completely conscious of, be sure to take another look - the obvious answer may be a comparative advantage - like lower prices or better service. Your unfair advantage may be an unusual angle that you haven’t thought of before and that secretly underwrites your business’ real success. It may be staring you in the face. Have you seen it? One of Unicorn’s clients is #1 on Amazon EU for a range of health products. They thought it was because of their (genuinely spectacular) proprietary SEO. When Unicorn took a closer look, we discovered that their entire range of products was super easy to ship - their health products were nice and small, and didn’t involve any regulatory issues. They dialled that up to eleven and watched their business soar past competitors who sold similar things, but were also literally weighed down with heavy, hard-to-ship inventory that customers said they wanted, but then became dissatisfied when delivery took forever and they were forced to pay additional duties thru customs. The great thing about making a business plan is it gets you crystal clear with yourself before you have to start explaining your business to anyone else. A difficult thing for some people to get their head around is that a good business is not necessarily a good investment. This has less to do with your going concern. It’s clearly got something special going for it. It’s not about your great business plan either. It’s more to do with how different investors view the world. If they’re jumping in at Series A, or Series B, some of them are looking for 10X or 100X returns. To be honest, all of them are. You’ve got a realistic business, so you don’t want to be dealing with people who are unrealistic. Many angels and VCs are willing to lose a lot of small bets on a lot of businesses in the hope of striking the Unicorn jackpot. But every bet they make has got to be in to win. They’re like frogs that spawn a thousand eggs in the hope that a few will make it beyond tadpoles. Some of them don’t take much care of their young. High expectations and low attention may not be the best relationship for your growing business. For instance, if they see a successful restaurant looking to franchise into some well researched territories, the wrong investor for you is going to look at that and think “I know exactly how much money that’s going to make. Pass.” The right investor will say exactly the same thing, but then conclude: ‘I’m in.” You see? It’s not you, it’s them. In your case, if you’re writing a business plan for a good, solid business looking to do more of the same, you could be a spectacular investment and provide great returns for an investor with the right mindset. Don’t waste your time getting in front of gamblers. You’ll probably know who they are cos they’re the most famous. They’re loud on twitter, they’re LinkedIn influencers and they make the news because the stuff they do is so unusual. The secret is there are millions more dollars, and much better relationships available with people who don’t make the news because they’re too busy making smart investments in businesses they can see are bound to succeed in measurable ways. If your business can’t realistically offer extraordinary multiples to investors, or you don’t want to give up that much equity - then don’t. Make sure your business plan writer is making the best use of your time so you can get the right business proposal in front of the right investor. In a few weeks we’re going to write about different types of investment arrangements. In the meantime, you just need to concentrate on getting super clear about the specific people with the specific problem that you’re specifically placed to solve. If that sounds simple, it’s really not. If you’ve already got all that down on paper, then all you need to do is structure the perfect deal and start working your contacts and looking in the right places to find the right investor to offer it to. We wish you the best of luck. If the way we think is helping you to go from a bit fuzzy to a bit clearer, feel free to get in touch. We love to hear when we’ve helped people put together the successful business plan that gets them ready to raise. No: You have an idea. Congratulations. Your best business plan is all about selling you, and your team. There are lots of investors who are going to be interested in what you’ve got to offer. You’re going to need to focus on proving why you’re the team that can make it work. Ideally, you’re a stunning bunch of people with a diverse array of complimentary talents and an incredible track record on similar projects. Your team is what you’re pitching to investors. You probably haven’t even had this idea unless you’ve got a strong sense of whose problem you’re trying to solve and why you’re the ones who are unfairly advantaged to do it. If you’re making a business plan and you haven’t considered these questions, or could use some guidance, look here. [backlink to blog 1] Whether you’re creating your first startup business plan or you have years of experience business plan writing, the basics are fundamental for a reason. The most exciting thing for an investor to see when you’re making a business plan is how you and your team are pivoting from your previous experience and success. Pivot is a great word that’s often misconstrued. The dictionary definition is semi-helpful. Synonyms: Fulcrum, axis, axle, swivel. The first definition is the mechanical one. The idea is that there’s some fixed thing, around which the rest of the thing turns. At Unicorn we always prefer to relate things in human terms. If you were to physically pivot, you’d keep one leg in the same spot for balance, while the other leg would find a new footing - suddenly you’ll find yourself balanced, and facing in a new direction. So one of our clients runs successful summer camps. Now they’re offering summer camp experiences online - it’s a new take on online education based on something they know super well. It’s a great pivot. An example of a not-so-great pivot is Michael Jordan trying to make it as a professional baseball player. There’s nothing wrong with trying new things and dabbling. But turning pro is tough. The only thing that connects basketball and baseball is that they’re both sports that begin with the letter B. Sure, Jordan got funding for it, probably because the investors thought they could get their money back in free publicity. Maybe they did. But we doubt that it was a particularly happy experience for anyone involved. It wasn’t even a pivot so much as a space jump. When you’re making your startup business plan, look for how you and your team are pivoting, and beware of the two-footed leap into the unfamiliar. So to write a successful startup business plan, the important thing is to recognize that you’re selling an idea, a seed that needs to be planted in the right soil. What will help it to sprout is the team. You’ll have to find an investor with the appetite for risk, and you’ll probably have to feed them a lot of equity in your company. You’re not making any money yet, and it will be a while before you do. A final point to consider when making your business plan. If the kind of money you can hope to make is less than $5 Million a year gross revenue within the first four years, then your Series A funding is most likely to come from yourself, your friends and your family. There’s no shame in that. It’s how most businesses have done it since the dawn of commerce. If we can save you the hassle of chasing down a bunch of outside investors who are going to turn you down, then we’ve done a big part of the Unicorn Capital job: saving you time by steering you in the most productive directions. You’ll be able to spend that time you’ve saved cultivating the close-knit, face-to-face relationships that are going to make your big break a whole lot more satisfying. We wish you your best business plan. How to Write a Good Business Plan.